Eunomia’s research showed that the average cost of a scheduled bulky collection was $66.91 (£51) compared to $112.51 to clear up an incident of fly-tipping and enforce the law. Other recommendations included providing free neighbourhood refuse sites at universities and at areas of frequent fly-tipping. There was also a call for a ‘pride of place’ community engagement campaign to tackle waste crime. “Communities can help combat impact illegal dumping by reporting incidents, utilising free services, helping with clean-up and creating a culture where illegal dumping is unacceptable,” said the report. In November, the Environmental Services Association said government proposals to tackle waste crime and strengthen regulations failed to go far enough. 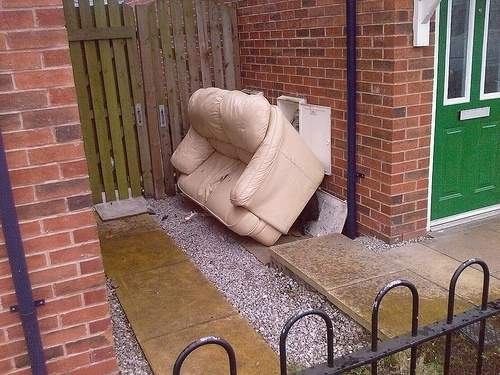 The Furniture Recycling Group managing director Nick Oettinger recently called for councils to drop collection charges for bulky waste, over concerns that fly-tipping is reaching “epidemic proportions” in England.